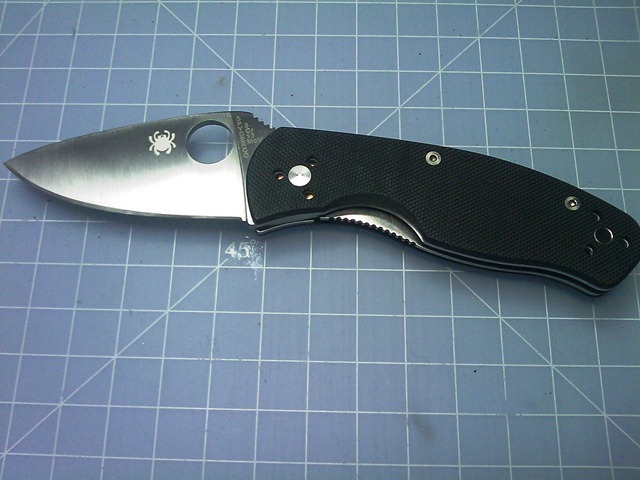 I’ve been carrying a Spyderco Delica 4 FFG knife for almost a year now and I love the size and usability of that knife. 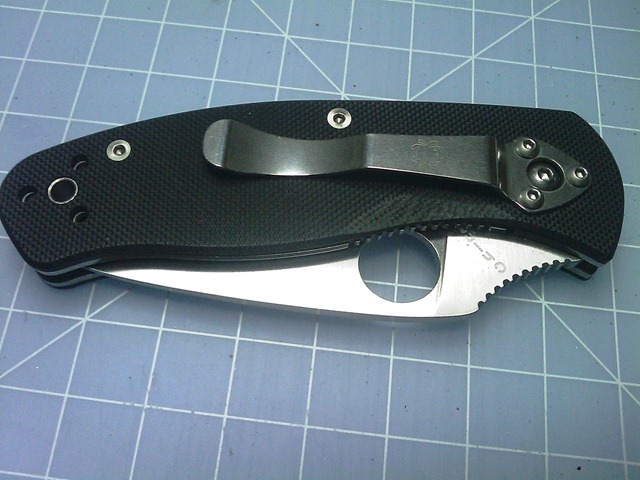 I’ve practiced enough with the Spyderco that I can open it pretty quickly with a flick of my thumb. 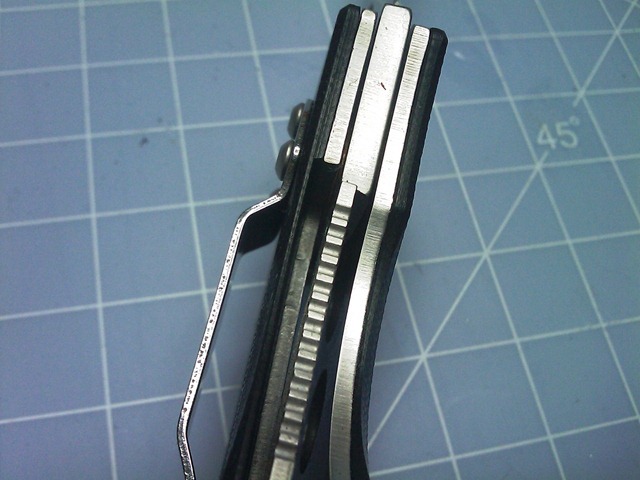 That said, I’ve always been intrigued by the auto-opening / assisted opening type knives. 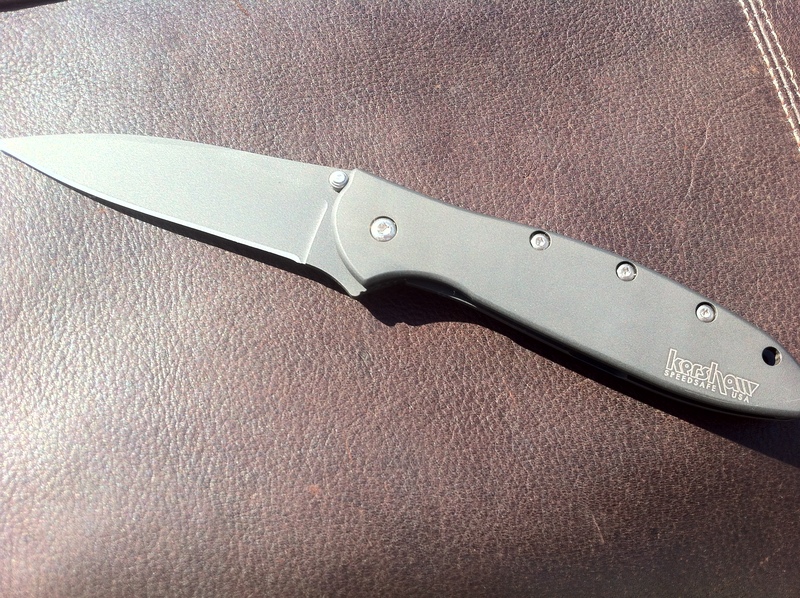 Ordered the Kershaw Leek 1660 knife from Amazon for about $50 including shipping (Amazon PRIME) and it arrives in two days! Hooray for PRIME. First off, it’s a beautiful folder. 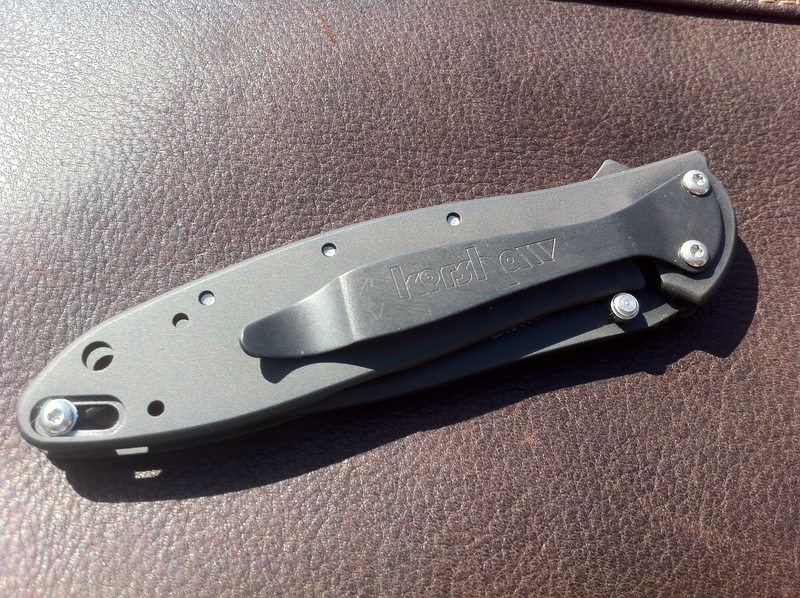 The sleek and smooth surface is a Tungsten DLC coating over the aluminum handle. I’m not sure how long it’ll stay that smooth but it feel great to hold. The ambidextrous assisted opening technology is called Speedsafe. 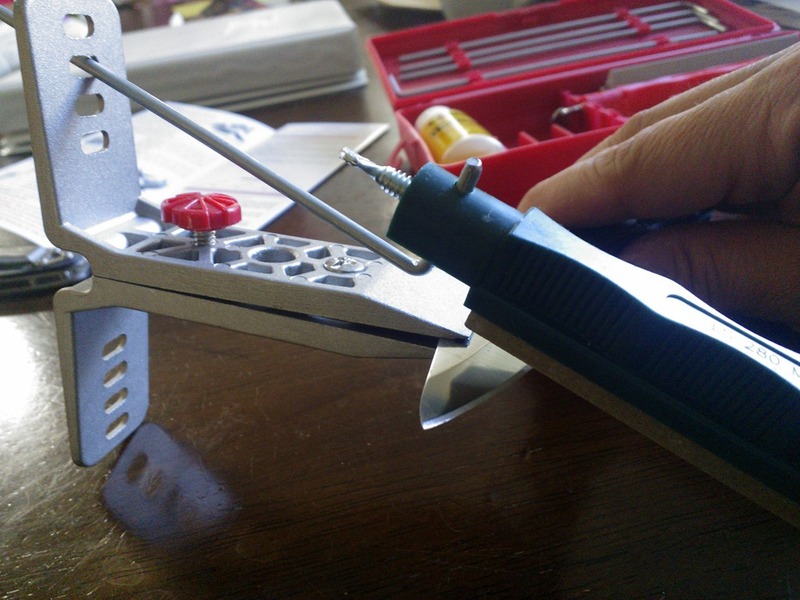 It allows the user to open the knife quickly using any one-hand. It’s not super fast like a traditional auto-knife but it’s fast enough. 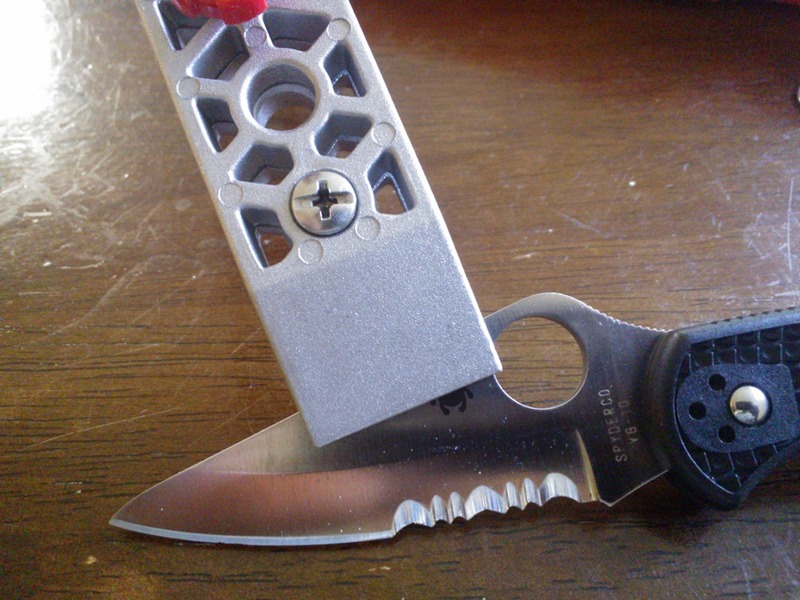 It also has a lock at the end (left in photo) that allows you to lock the knife for whatever bizarre reason you’d have to do so. And the knife fully deployed. it is also a really light knife, I think weighing in around 2.4 ounces. 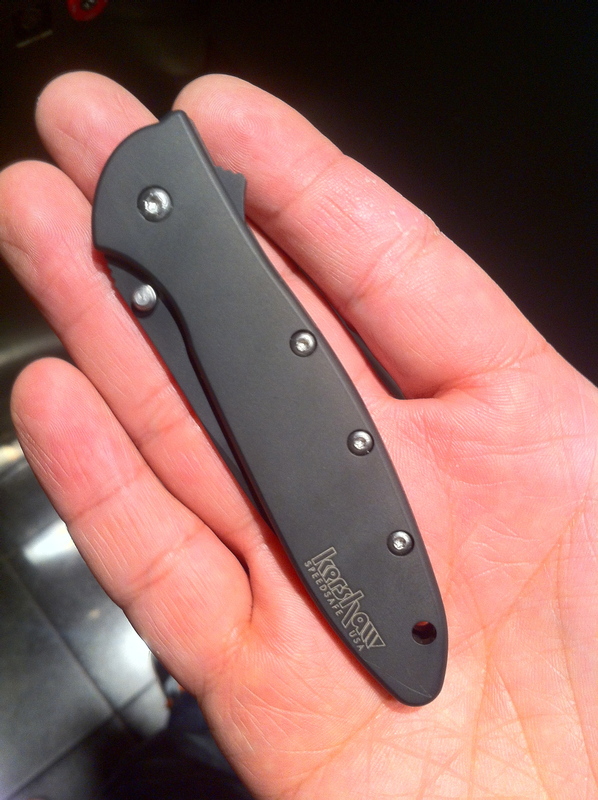 It is nice to carry, definitely not Crocodile Dundee’s “KNIFE” but sharp and useful enough to carry everyday. 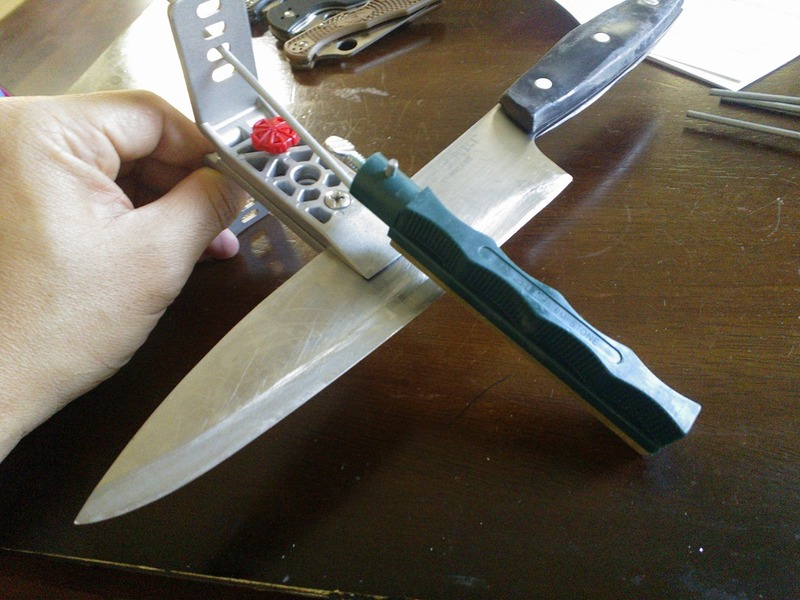 Saw this at Caleb’s blog a while back and thought it’s about time I sharpened my knives. 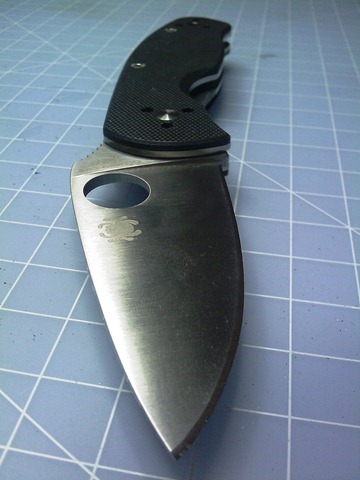 I have been carrying my Spyderco Delica 4 for a year now, used it on many occasions but never kept it sharpened. Thought I’d bring up all my knives to give them a new edge. 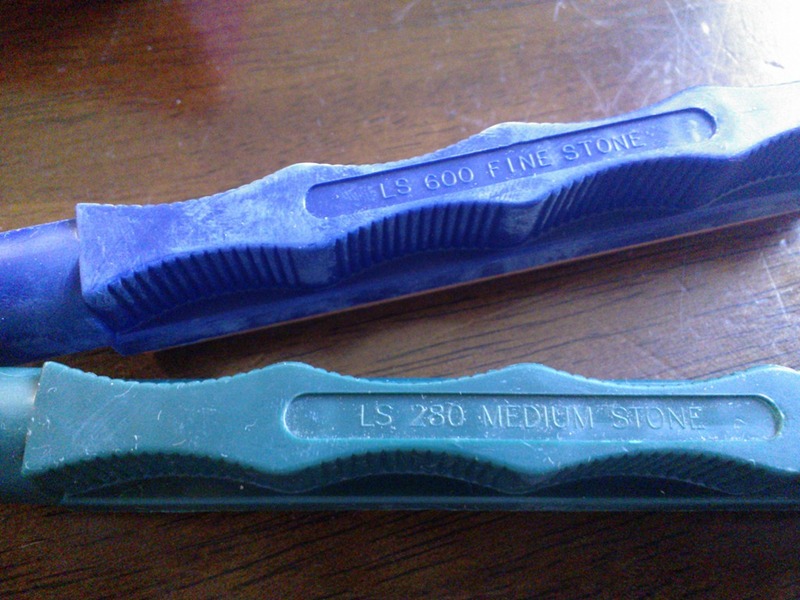 The color handles are actually sharpening stones of different grains. 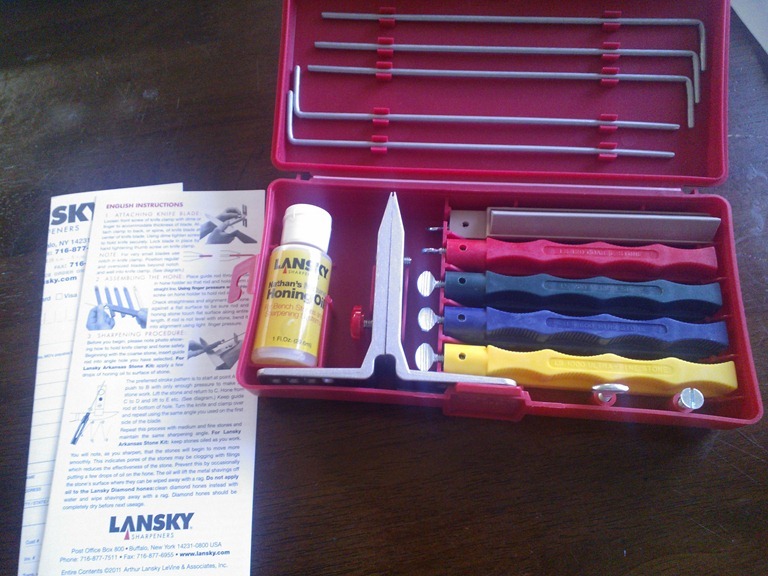 Yellow is the finest stone and the grey stone is for sharpening serrated edges. Top most is 30degrees for razor blades, next is 25 degrees for kitchen knives, then 20degrees for hunting and outdoor knives and last is 15degrees for heavy duty use on cardboard etc. The way to do it is to start with the coarse stone, and work gradually to the finest stone to smoothen the edge. After finishing my knives, I switched to sharpening my Kitchen knives. I would say that the knife sharpening system works really well. I can’t show how sharp the knives get but it’s definitely sharper, and smoother too. 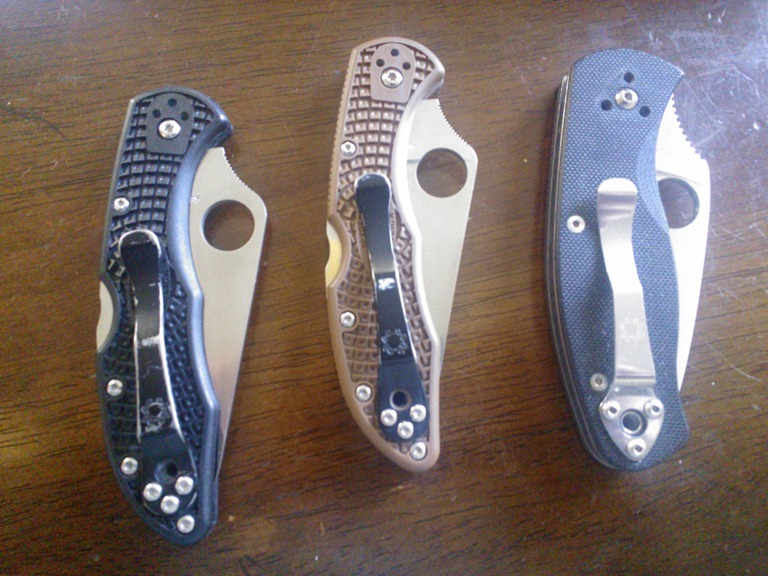 I was pleasantly surprised today when my Spyderco Persistence arrived at my doorstep and even more so when I opened the package. I expected it to be smaller and of a lower quality, considering it’s relatively cheap price of $32 shipped from http://yourcornerstore.com.